Your horse needs to fit you. Size is important, but temperament, experience, training, and personality are probably more important. You know how some people just annoy you. As hard as you try to like them, it’s not a good fit. Yet, you meet others that hit it off with you immediately and strike up a great friendship. Horses are no different, some fit you better than others. 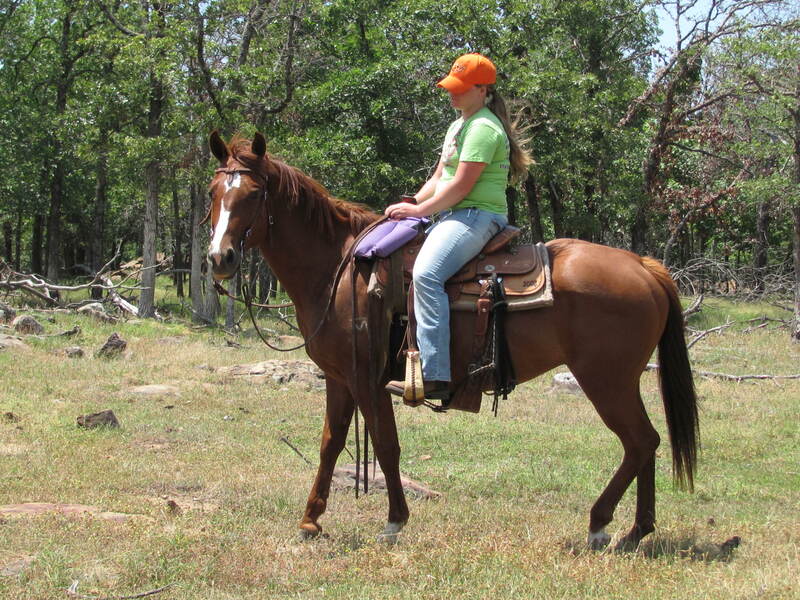 We like to see people come ride our horses several times before purchasing and find out if it is a good fit. 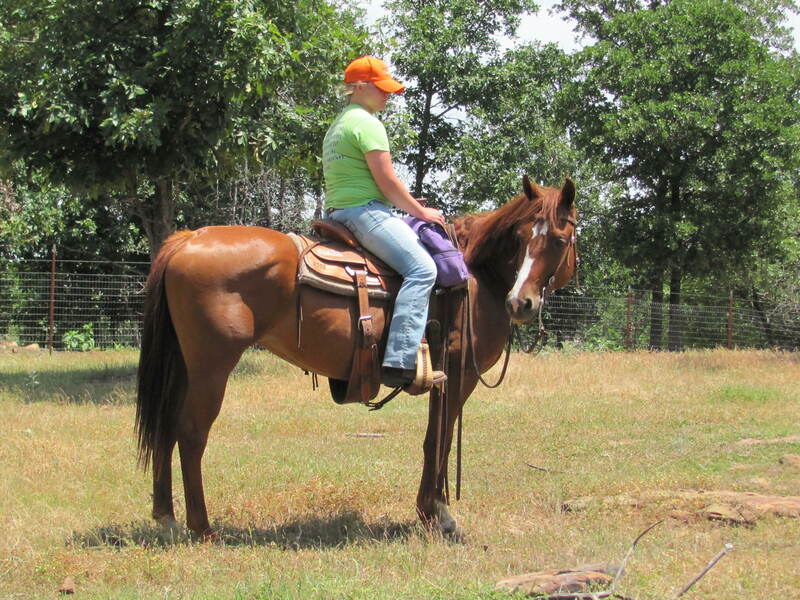 If you are going to spend a lot of time in the saddle, why not do it with a horse you like. This is Suzie that we introduced in an earlier blog. Suzie is a wonderful mare, sweet, kind, and easy to be around. She doesn’t like to run or lope. It doesn’t mean she won’t when asked, but given her choice a steady walk is just fine. A dandy trail horse for a lot of riders, but not necessarily the best horse for a cowboy who is going to be chasing cows or loping a couple of miles to the next pasture. We can not over emphasize getting to know the horse before you buy, not after. Most folks don’t get married on the first date and you don’t have to buy a horse on the first ride. One of our goals are horses that fit the rider so there is a long, pleasant, and happy relationship giving both horse and rider years of fun and adventure. Connecting the dots a little more, Suzie is the mother of Montana. Good mares produce good foals and here is one more case in point. As we said, Suzie is a really nice mare that prefers to walk instead of trot or lope. She will do whatever you ask, but likes to walk down the trail. She crosses creeks, logs, climbs over rocks, and handles brush well. She leads easily and has been used to pony other horses in a string. She has been used several times to work new colts in a pack string approach. 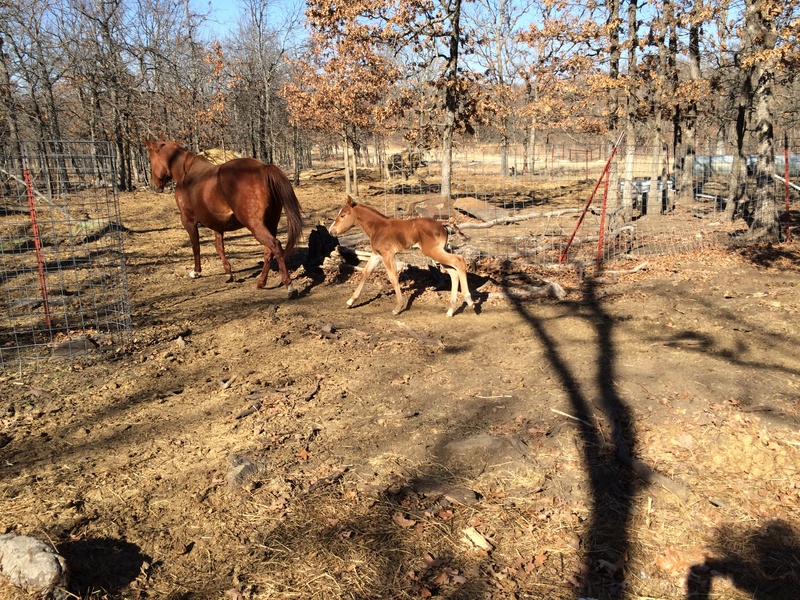 The rider ponies Suzie who pulls the new colt along. Since she leads so smoothly, you don’t notice the colt balking or pulling back. Suzie does the work and makes us look good. If you haven’t met Suzie, you should make her acquaintance. 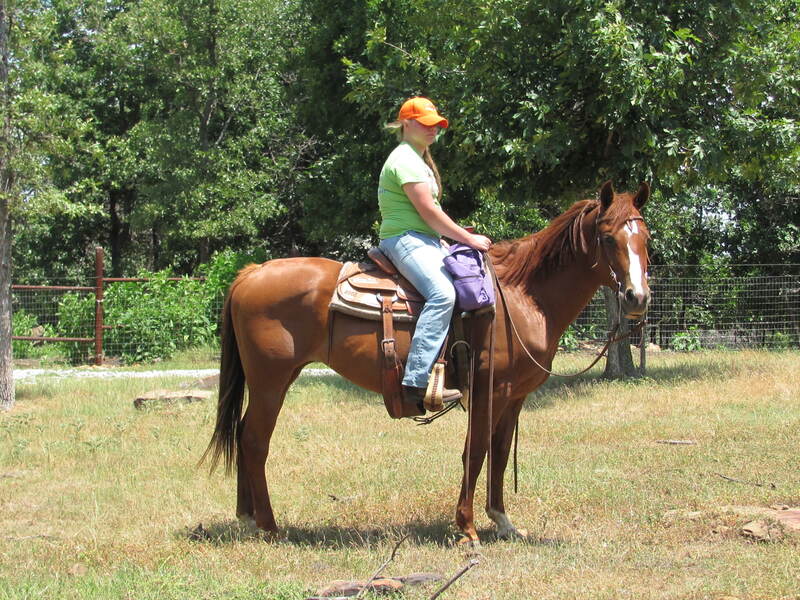 An AQHA registered mare, Susie is a really pretty sorrel mare that is nicely built. She has good blood lines and a nice two-year old filly started in our training program. Suzie has a kind, gentle eye and loves to be petted. She does well on the trails and doesn’t let much of anything ” create too much excitement. ” Last Summer Suzie was used by the ranch to build fence. She toted chains, come-a-longs, tools, wire stretchers, water, and pulled the barbed wire through the brushy places. The past few months has been spent with refining her trail skills including neck reining. Suzie is a really good mare. Click here to check out what Suzie has been up to! You are currently browsing the archives for the Meet Suzie category.